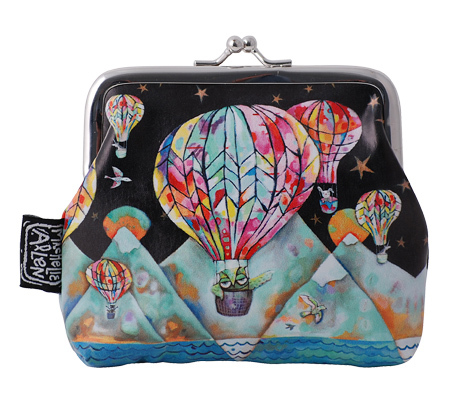 Michelle Allen Bags & Stuff : Balloon Coin Purse - Flashy Bits - for flashing gifts and novelties and for fundraising and events. If you’re looking for things that twinkle or flash, glitter or glow, then Flashy Bits is for you. This fabulous new range from Michelle Allen features a large and small cosmetic bag, wristlet bag and coin purse to match your tote bags in 3 designs. Cat and bird, Owl and Balloon.